All Winston homes currently listed for sale in Winston as of 04/22/2019 are shown below. You can change the search criteria at any time by pressing the 'Change Search' button below. If you have any questions or you would like more information about any Winston homes for sale or other Winston real estate, please contact us and one of our knowledgeable Winston REALTORS® would be pleased to assist you. 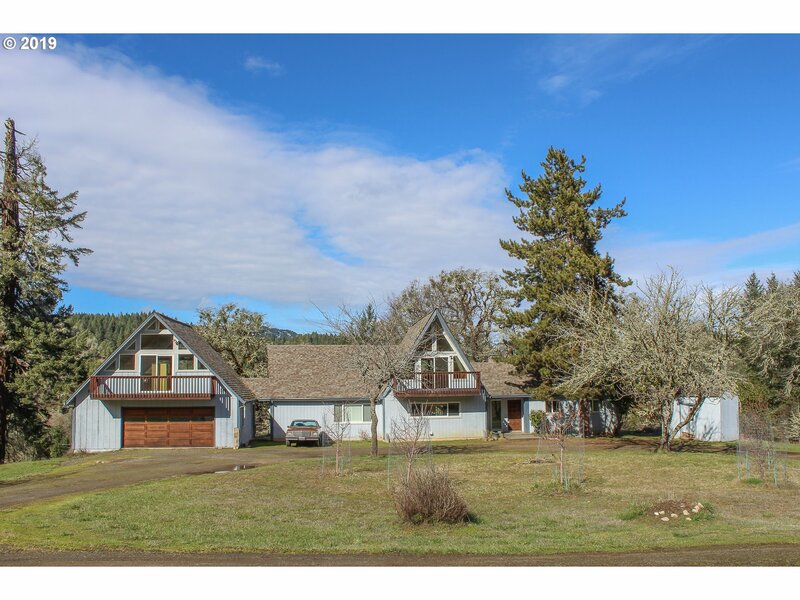 "NICE RANCH INCLUDING GRADUAL SLOPED PASTURE AND BOTTOM GROUND WITH POTENTIAL TO OBTAIN OLALLA CREEK WATER RIGHTS. 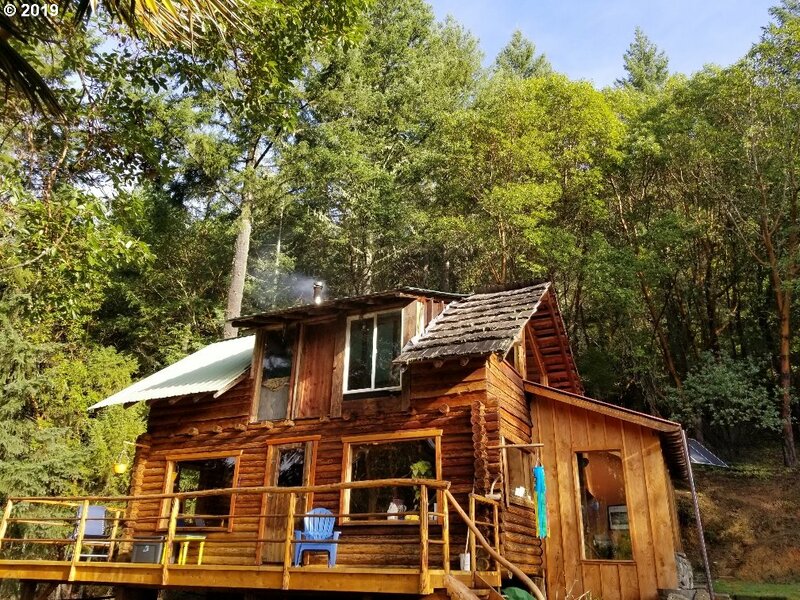 ADORABLE 1920 FARM HOUSE WITH LOG SIDING AND METAL ROOF. NUMEROUS SPRINGS AND ROADS. BEAUTIFUL HUGE SEASONED HOME SITE WITH PANORAMIC VIEWS OF THE VALLEY. ELK DEER AND TURKEYS. FENCING FOR ANIMALS.NUMEROUS MAPPED ROADS AND SPRINGS. DECENT SIZED HAY BARN AND DECENT SIZED WORKSHOP BARN." "This beautiful Alpine Lodge style home will impress even the most selective buyers. Beautiful island kitchen is open to family room with soaring ceilings and lots of warm wood accents. 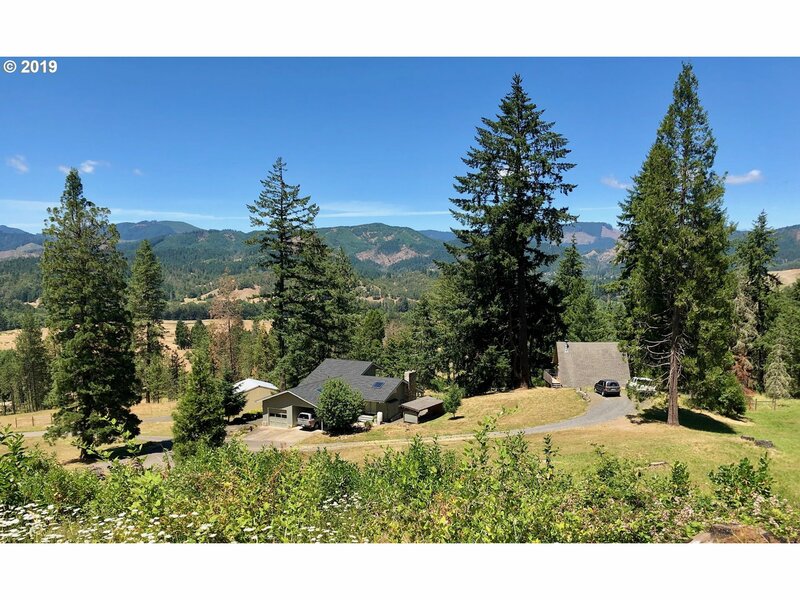 Huge great room with clerestory windows to enhance Southern timbered/mountain views.Huge 157' shop area with 7 doors,plus 32x24 3 bay shop, and two car attached garage, all paved, and security gated. B/in Pool and Olalla Ck water rights.Very well done." "Vineyard and territorial views from this secluded acreage. Property is rare mix of gentle pastures and your own rugged private timber. Quality custom home with good bones, stonework, fireplace, cedar T+G beamed ceilings, new paint, newer roof, skylights, and recent well work. Separate A-frame rental cabin plus One More homesite- Two stall barn, Shop, extra hay barn and producing well. 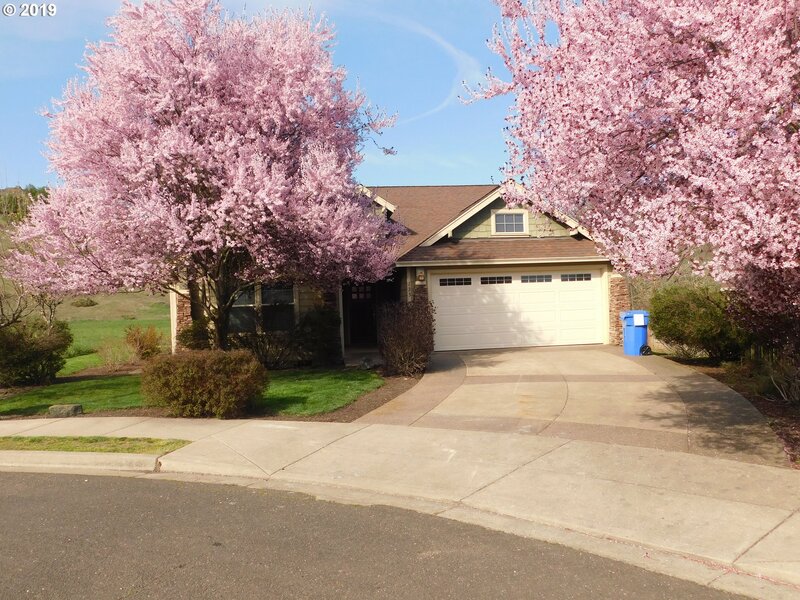 Seller is Licensed Oregon Real Estate Agent." "Beautiful, clean, well-maintained home mostly all new in the 90s. 3750 sqft with master on lower level. 2 - 2 car garages. Very comfortable, quality home in nice, lovely neighborhood. 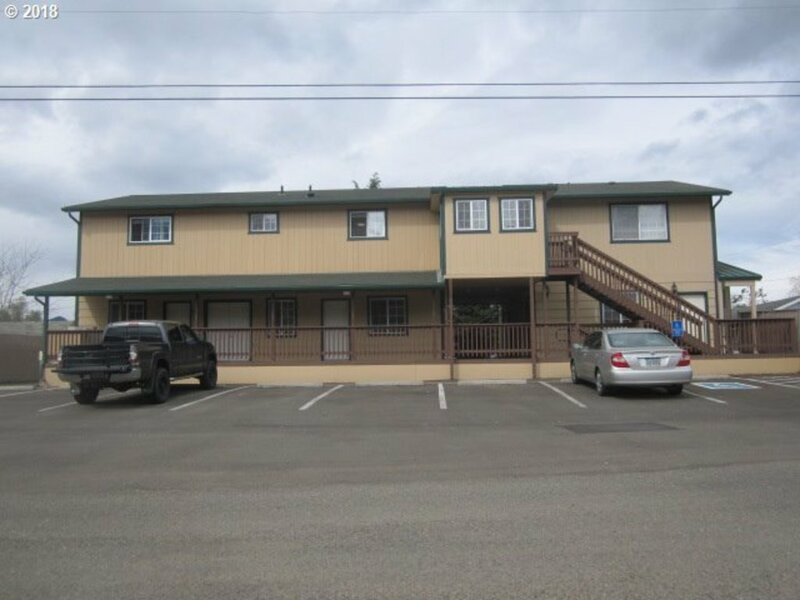 The remodel has made this a place with ample parking, storage, and room for everything!" "Rare property with 5.94 dividable AC in Winston. Nice neighborhood with country feel and amazing views. Home is large with many possibilities. Tons of parking and guest quarters. Lots of wildlife and minutes from Wildlife Safari. Plant your own vegetables in the green house or just enjoy the privacy. Call Today." "Beautiful 7.89 acre setting for this 3BD/2.5BA home with a lower level master suite, vaulted ceilings, and a great deck for entertaining! Nice private driveway, a good sized shop with a loft, and a creek running through the property are added bonuses! Move in ready, don't miss out!" "This property has it all! Cross-fenced pasture for horses/cattle, pond, fruit trees, RV parking & a shop. Chalet-style home with Milgard windows is bathed in natural light. All bedrooms & bathrooms are on the main floor, with a large vaulted family room upstairs. Newer heat pump, windows & bathrooms. Oversized garage and workshop with sink. Bring all your toys. Washer, dryer, refrigerator & Husqvarna riding mower all included." "Ideal 2 family set up 4040 sq ft. with lower level commercial use only. Built in 2001 has 2 br 2 bath unit plus 1 br 1 bath unit upstairs. 2 kitchens. Would make great in home business. great view of the South Umpqua River from upstairs unit." "Move in ready. This 1736 SQFT 3 bedroom 2 bath home has been completely painted inside. The floor plan is open with a split master suite. Formal dining room. Kitchen has tile floors, eating bar and nook. Sliding doors out to patio for your out door entertainment. Call today for your private showing." 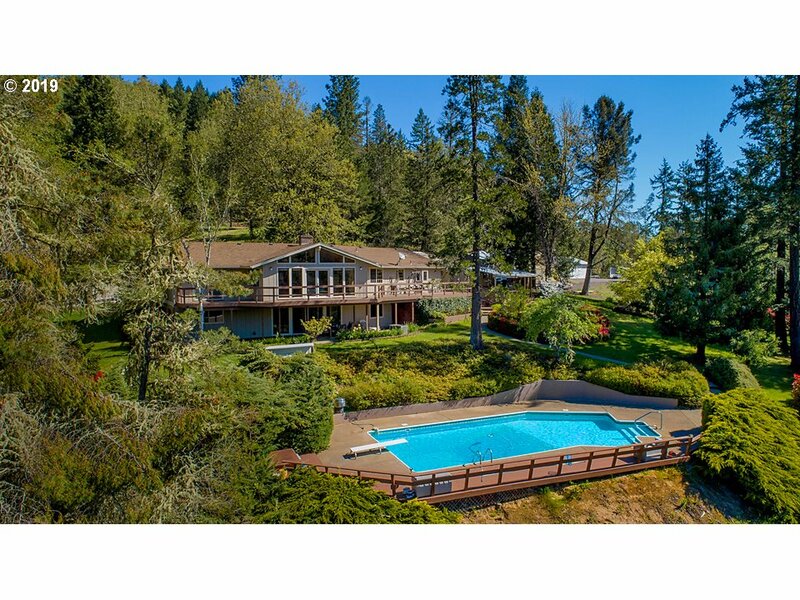 "Large home on 18.79 acres! Overlooks mountains, ponds, & trees. Southern exposure. Bring your animals or start your own farm. Home features new windows, wrap-around deck, & more! Merch Timber has approx. $25,000 net value per Seller. Buyer to verify." "If you seek seclusion, passive solar design, & a quiet setting: LOOK here! Seller constructed log home (not a kit) is oriented to catch the sun for power,with STG batteries. 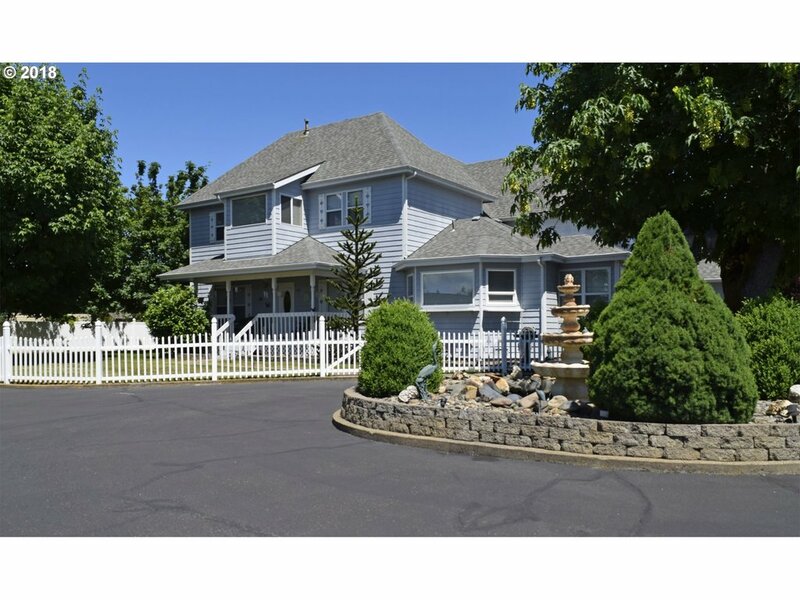 Natural wood floors & trim, 2 large fenced garden areas w/water to each plot. Sensational getaway! Owner may carry w/substantial down payment. Call Now for a private tour." "Brand new home built in 2018 with open concept living space! Tons of natural light with three sliding glass doors to your own private deck! Wood laminate flooring throughout! Large open kitchen with island and oversized pantry. Huge master suite with walk-in closet and double sink vanity! 2-car attached garage. Covered front porch with low maintenance landscaping and sprinkler system!" "Lovely home in great location! Not only is there a 2-car garage, but a workshop as well. Enjoy the mature fruit trees in the large backyard or take a stroll down to the library, park or tennis courts nearby. Master bedroom has 2 closets and a full bathroom. This home has lots of storage and plenty of space. Call or text today for your showing." "Fresh and clean single level home located in a newer Winston development. 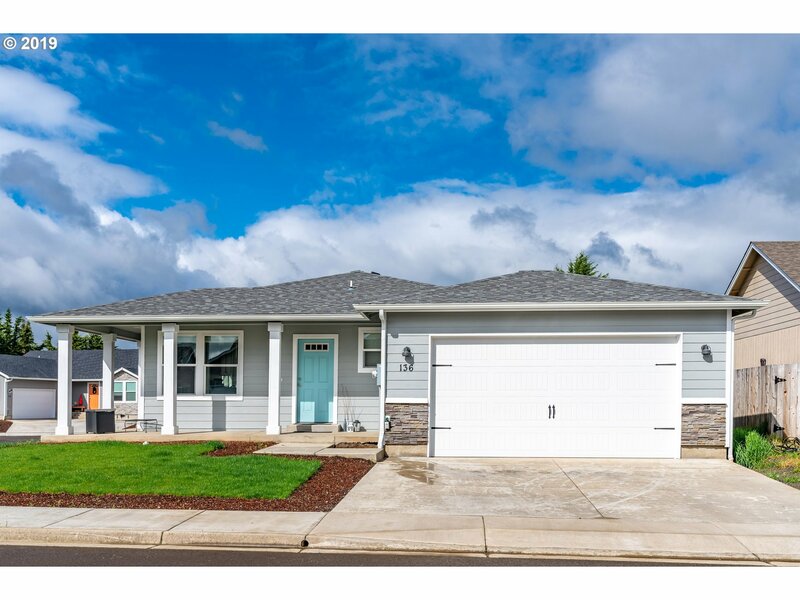 This 3 bed, 2 bath, 1452 sqft home features a vaulted living room, family room with a cozy gas fireplace, large open kitchen area with nook, large master suite, and concrete rear patio with privacy in the back. Recent improvements include new carpet, new paint inside and out, and all new window coverings included. Your next home is waiting!" "Investors special, 2 homes both rented plus a large shop to rent. Steady income. Home is 3 bedroom bath and a half. 1,458 sq ft.The unfinished attic not included in sq footage of 192 sq ft.in the One bedroom apt of 612 sq ft. built in 1953, attached to a large shop. 24-hour notice." "This 4br 2bath home and is a great two family setup with two kitchens, attached garage, balcony/deck, and fenced yard. Close to Wildlife Safari, diners and shopping. Multiple parks in the city and the river is just minutes away; walking or driving. Conveniently located in town. This property is ready for a new owner." "This is a perfect starter home that has a lot to offer. This 3 bedroom 1 bath is close to schools, shopping and downtown Winston. It ahs a large fenced yard that has a patio for outdoor entertaining. Nice garage with plenty of room for RV parking." "JUST AROUND THE RIVER BEND! So many great amenities w/in blocks of this property! Nbrhd park w/tennis courts, athletic fields, skate park, etc. 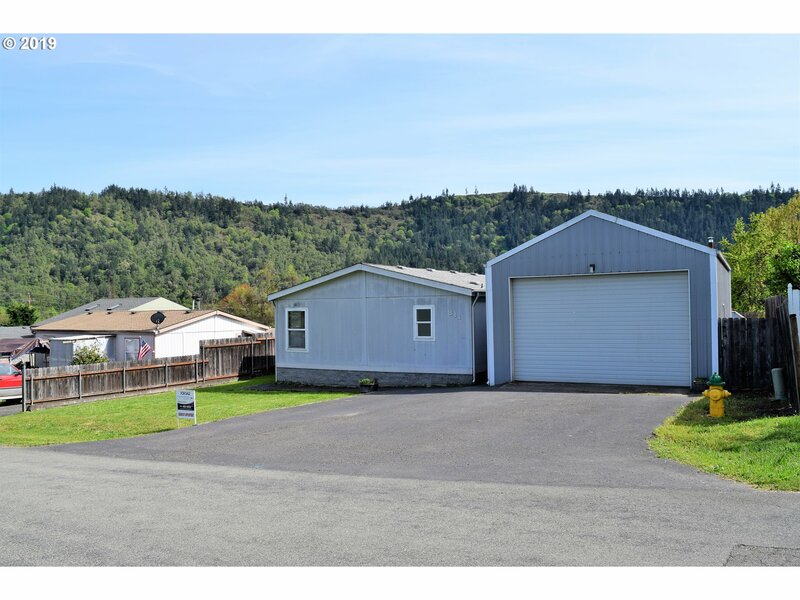 Close to town, schools, Roseburg Forest Products, So.Umpqua River & I5. 3 bed/2ba, 1512 sqft, open concept living. 20x30 2 car garage/SHOP w/storage loft. Covered deck & fenced backyard. Heat pump w/AC. Additional/updated photos coming soon." 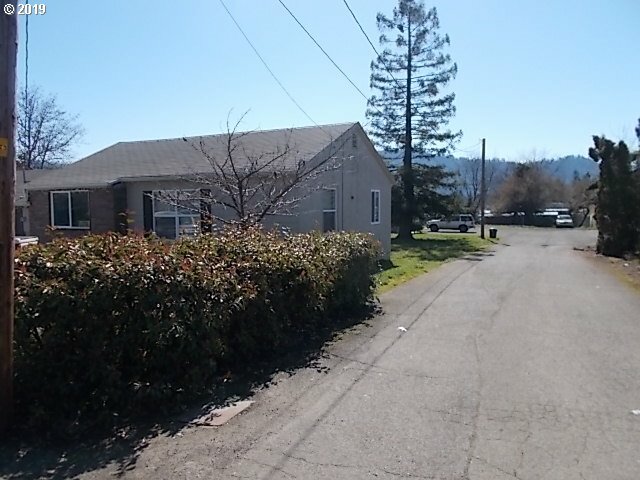 "Extra nice 2007 Manufactured Home on it's own lot; off of Tokay/(flaglot); 3BR/2BA, 1404 SF; new laminate; new interior paint; great separation of space; master BR w/bath & big soaking tub/separate shower; open concept; dining room, pretty kitchen; all appliances; large double car garage; sweet home!" 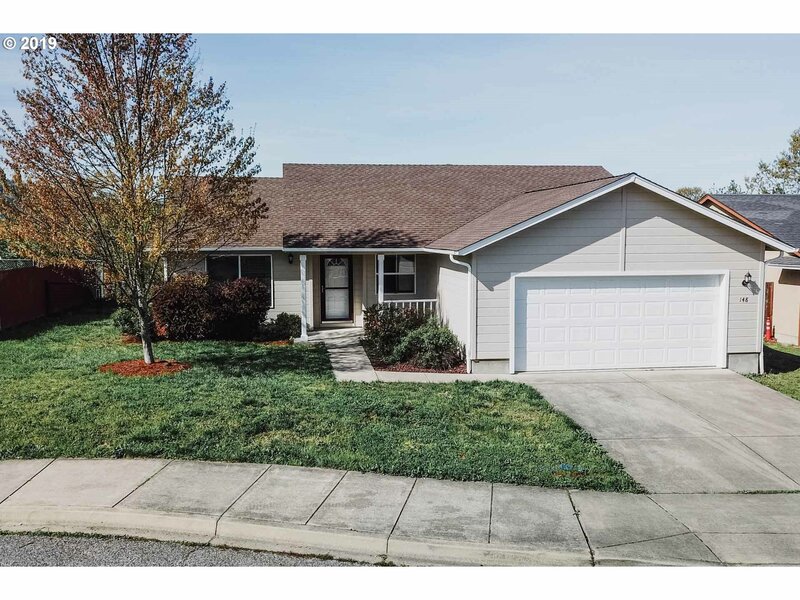 "Great 3BD/2BA home in an established neighborhood in Winston. Home is in good condition, could use a little TLC, but has great potential! Good sized attached carport with some storage as well!"